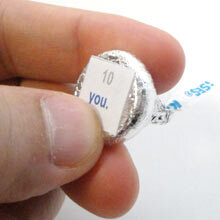 Spell out a loving message with every kiss while giving chocolate to your loved one. No special occasion is needed. Under each HERSHEY®'S KISSES® chocolates is a number and a word. 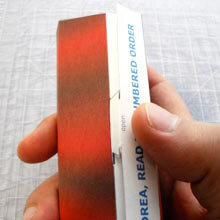 Your loved one is instructed to read each one in numbered order to unscramble a hidden message. 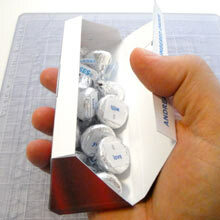 A custom box keeps your chocolate message together and holds up to 20 KISSES for a maximum of 20 words. 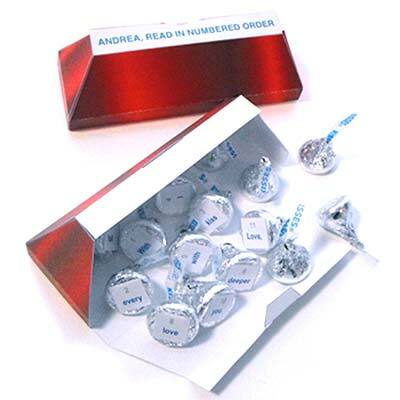 Simply fill in the PDF form fields to personalize the words under each chocolate to form your message as well as the name on the top of the box. Easy-to-follow photo instructions are below. 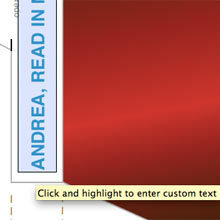 Download the personalized PDF template above. 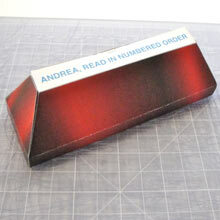 Repeat for each of the words on the numbered labels to customize your own message. The text will automatically resize to fit. 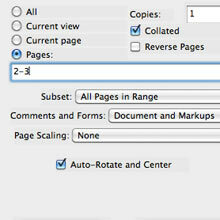 Click the print button or File, Print and select Pages (enter 2-3 only) before printing. 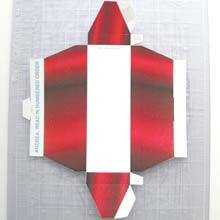 Use the paper clip to score the fold lines. The fold line guides are the brown dashed lines. Place a paper towel underneath for a better score indentation in the paper. Scissors can also be used along the outside lines. 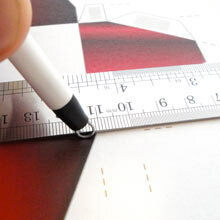 Using the craft knife, cut on the two thin black tab lines as shown. Cut on the black line for the tab opening as shown. This will keep the box closed when completed. The final cutout is as shown. 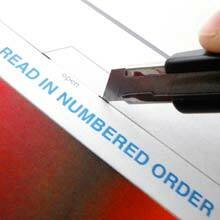 Cut each of the numbered labels and place them to the side for later. Fold the box front, back, and sides along the scored lines. 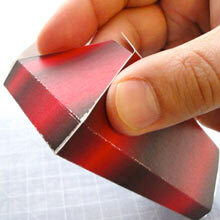 Each side of the box should fold easily and straight as shown. 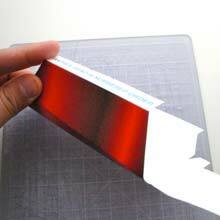 Use double sided tape or glue on both side tabs to attach the side to the back of the box. 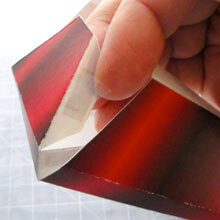 Keep the edges flush when pressing the pieces together. Start with the bottom tab first, and then the top to secure the sides to the back. Repeat steps 9 and 10 for the other side. 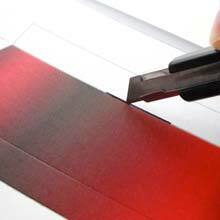 Attach the labels to the bottom of each chocolate using glue or double sided tape. Fill the box with the chocolates making sure that some of the words on the bottom are visible so your loved can see there is a message to be read. Insert the tab to seal the box. 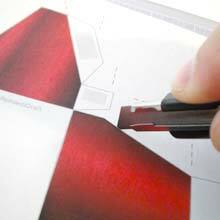 Shape the sides and front until aligned by pressing on the fold lines. The With Every Kiss box is finished. Present the box after a romantic dinner for dessert. Leave the box close to the refrigerator so that when your loved one wants a snack, s/he will see it there. Place on top of a pillow where your loved one can see it.